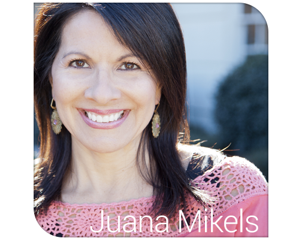 JuanaMikels.com: Radio Programs for Struggling Marriages & Wednesday's Prayer Girls & LinkUp Party! Radio Programs for Struggling Marriages & Wednesday's Prayer Girls & LinkUp Party! If you live in the Raleigh area, I will be selling and signing my new book at Charlotte's at Cameron Village (2034 Cameron Street, Raleigh) on Thursday, February 12 from 11:00 - 2:00 pm. ♥ Come on over, I'd love to meet you! What's more is Elisabeth Elliot, her husband Lars, and their two caregivers are arriving tomorrow for a couple days visit! The signing was planned months ago, before I knew they were coming. Who knows, I may bring them along! 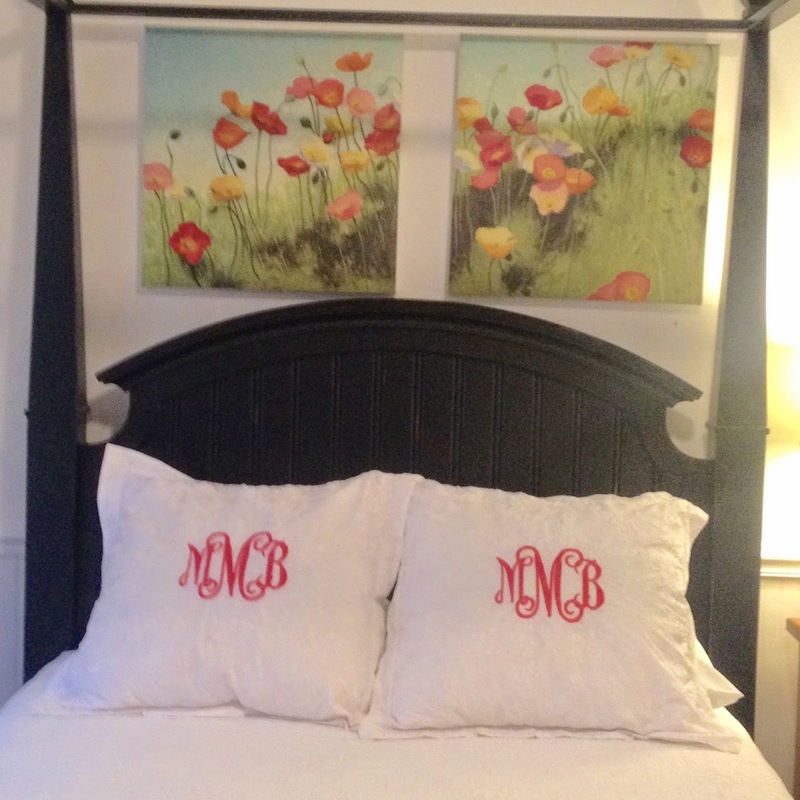 I've changed their sheets and the guest room is ready for them! Jana, thank you for the salted caramel! Can't wait for it to get here! What a treat it will be for all. Elisabeth's and Lars' guest room is ready! The room is ready for the caregivers. 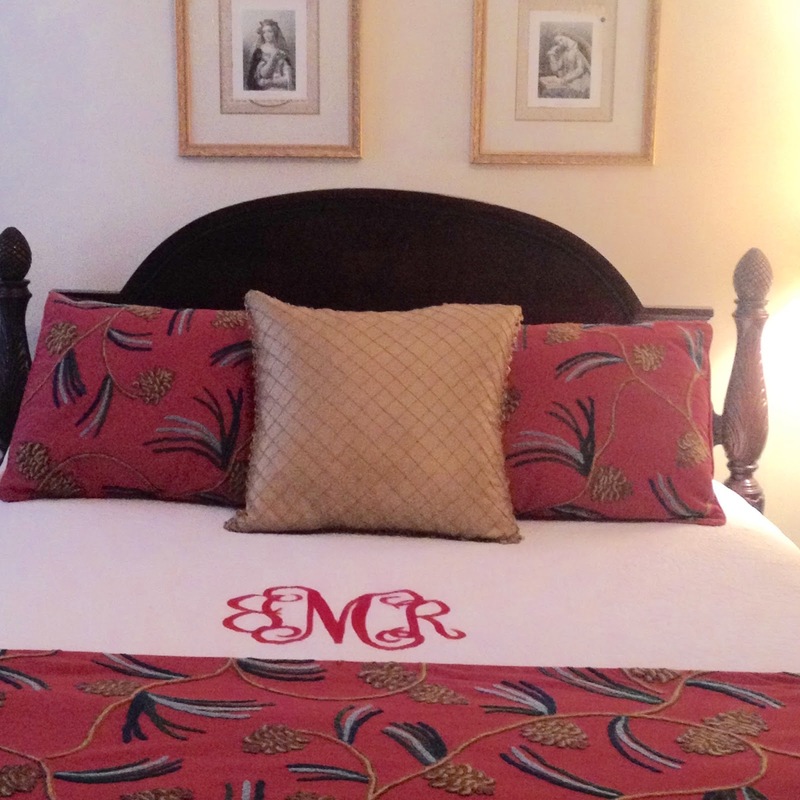 Yes, I love monograms! Then over in my neck of the woods, this morning I was on live on His Radio, with Rob Dempsey and Alison Storm. His Radio airs in North and South Carolina. 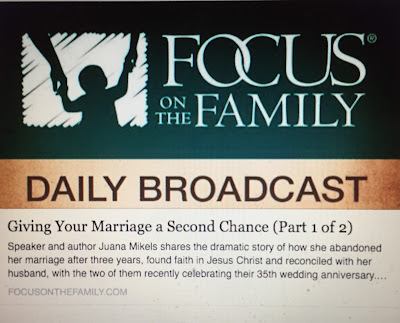 Here is the video of that 5 minute interview when give a little of our story and a couple tips for refreshing any marriage: click here. It was a fast 5 minutes on checkpoints to refresh your marriage. Kindle users! I have some news. My first book which released January 5, is now live and available on Kindle! You can get the ebook HERE. 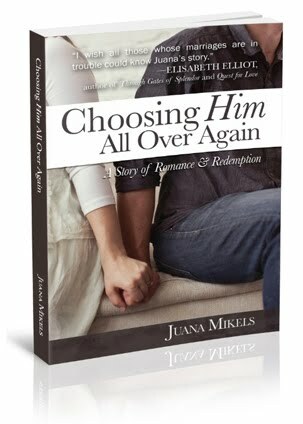 The "look inside" the book feature is now activated on the Amazon site too if you want to take a peek into my new book Choosing Him All Over Again: A Story of Romance and Redemption. That's not all! 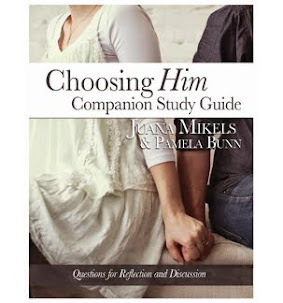 The FREE downloadable Choosing Him Companion Bible Study guide for more in depth study after reading the book is now available HERE! Please give Elisabeth hug for me! Her books changed my life and encouraged me to pursue writing so one day I cold encourage others, too. And P.S. thank you for the linkup and good luck at the signing! So HAPPY to have the Prayer Girls back! Missed it! Prayers for Libby as she has started on a med for muscle spasms, it is making her very lethargic and she is having trouble taking her bottles too. She is making progress in therapy, pray that this will not hinder more. Also I have applied to volunteer at the center where she goes for therapy, it is 100% non-profit and depends on volunteers. I will not be assisting with her, and nor would I want to, as it may get in the way of her progress. I have not told my Son & DIL yet that I would like to volunteer, will be doing so tonight when we get to keep Libby. Please pray that it will be well accepted and blessed. I cannot believe that she is almost 8 months old already! Thank you, Kim! Stay warm wherever you are & thanks for stopping by!